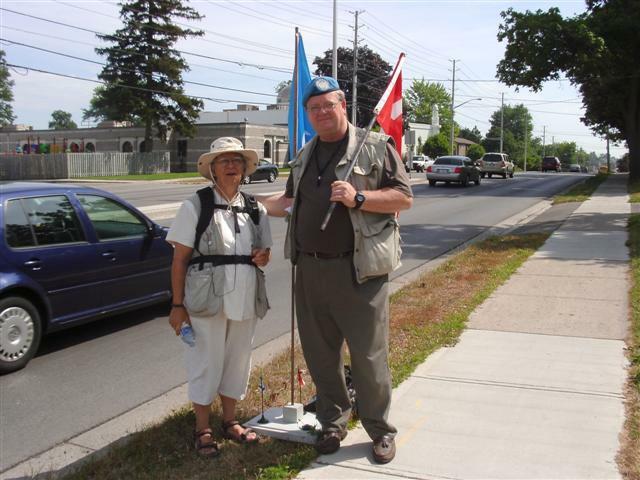 The ‘Blue Beret’ vigil ended Monday, July 18th (Day 26). 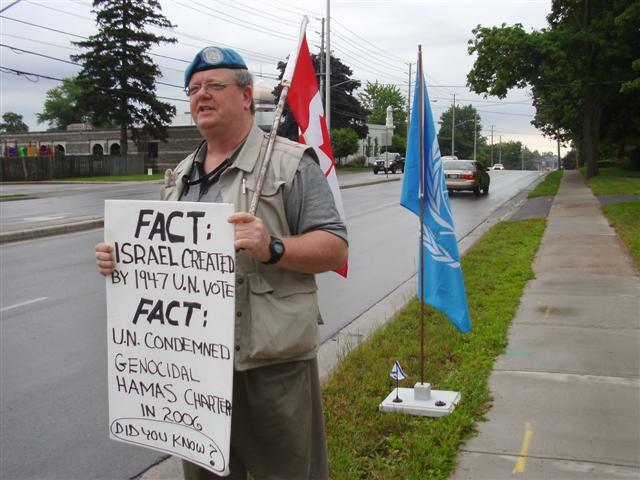 ABOUT THIS PAGE: This page is for updates and photos related to former U.N. peacekeeper Mark Vandermaas’ campaign of daily protests against the support given to the Canadian Boat to Gaza by the London Muslim Mosque. 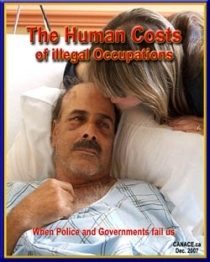 STANDING OFFER TO CANCEL ‘BLUE BERET’ PROTESTS – See Day 7 update for details. Ethnic cleansing of Palestinians or a struggle for survival against genocidal anti-Semitism? A terrific lady who has been with me nearly every day of the Blue Beret vigil joined me at the mosque from 10-11am. Just before leaving the lady with the hat and almost-matching vest to mine (photo R) came by for the first time to talk, offer support and get her picture taken with us. We then headed off, after a quick refreshment break, to close the vigil by spending an hour in front of the London Free Press – the paper that published 3 ‘puff pieces’ for David Heap (UWO) and Muhammed Humou (former Ops Mgr of the London Muslim Mosque), the two ‘delegates’ on the Canadian Boat to Hamas, but steadfastly refused to publish any stories about the Jews, Christians and others who came from as far away as Hamilton, Binbrook and Caledonia to help me hold the mosque accountable for their support for the mission to break the Israeli blockade keeping weapons from Hamas. What did the Blue Beret vigil accomplish? Allowed me a daily opportunity for nearly a month to do what I could to counter the anti-Israel fabrications from the Boat to Gaza operators in my own small way (If you haven’t seen it yet, take this 21-minute course – ‘Anti-Israel Propaganda 101′). Exposed the London Free Press editorial bias against Israel, and the importance of the role of alternative media in countering that bias. 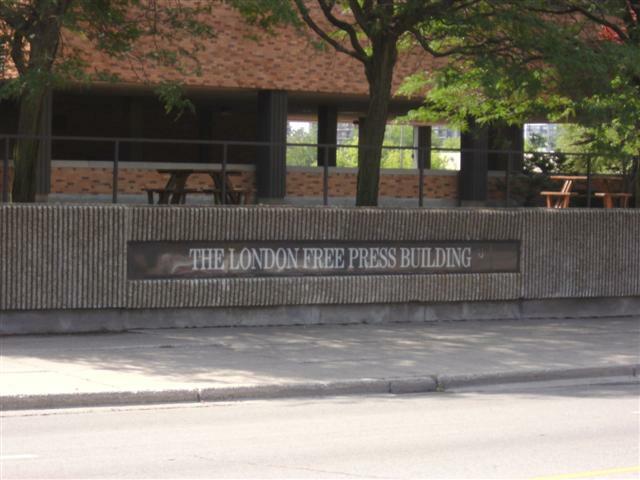 Exposed – with key help from former journalist Leila Paul – the undue influence of Muslims in controlling editorial content at the London Free Press. 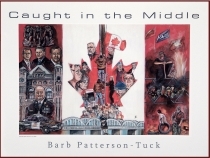 Exposed – with key help from investigative blogger Blazing Cat Fur – the role of London Muslim Mosque in aiding war instead of peace via its support for the Cdn. Boat to Hamas. Created network of relationships and sense of unity. Plans are being made to build on the Blue Berets for Peace initiative. 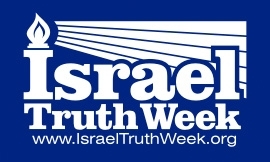 Brought Jews & non-Jews together to help public understand truth about Israel. Obtained media coverage in mainstream (non-London) print media, local broadcast media, and key online outlets. 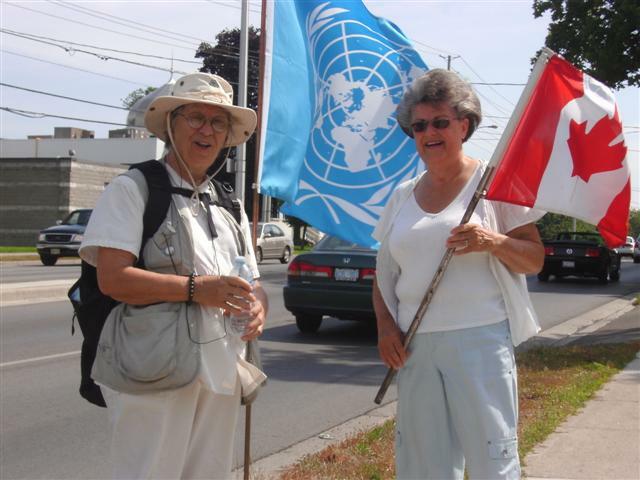 The protest was covered by the legendary founder of the Toronto Sun, Peter Worthington, and by Canada’s largest Jewish newspaper, the Jewish Tribune. Had a lot of fun meeting new people, and learning from them. London Police Service CORE unit. I kept my promises and I kept them informed; in return they didn’t interfere with what I was trying to do, and I knew if I needed them they’d be there. Thanks to the OPP PLT for the introduction to the LPS unit. London Muslim Mosque: I had absolutely not a single confrontation or even a hint of one from the mosque. 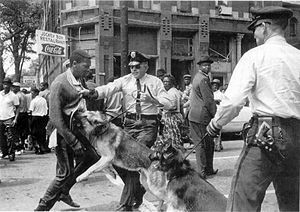 I’m sure it wasn’t easy for you seeing me there each day, but I appreciate the respect you showed for my right to protest. Everyone who came out to support me: Jews, Christians, others from London and as far away as Hamilton, Binbrook and Caledonia. Thanks especially to the amazing Blue Beret ladies, especially one who was with me nearly every day right up to the end. Thanks to the Never Again Group for making 3 trips to London. Thanks to Jacob Peretz for being the first member of London’s Jewish community to stand with us. Thanks to Al Gretzky and Mary Lou Ambrogio of the the International Free Press Society. Thanks also to Pesach Ovadyah, Chair of the Jewish Defence League in London. Rabbi Jonathan Hausman from Massachusetts for his very kind and very generous words of encouragement on Day 4, and for his offer to come to Canada to speak at an event with me. Gary & Christine McHale, Merlyn Kinrade, Bonnie Stephenson — the Caledonia contingent – for repeated trips to London. I’ve spent the last 5 years travelling back and forth from London to Caledonia, so it was wonderful to see Caledonia faces supporting the Blue Beret vigil in London. 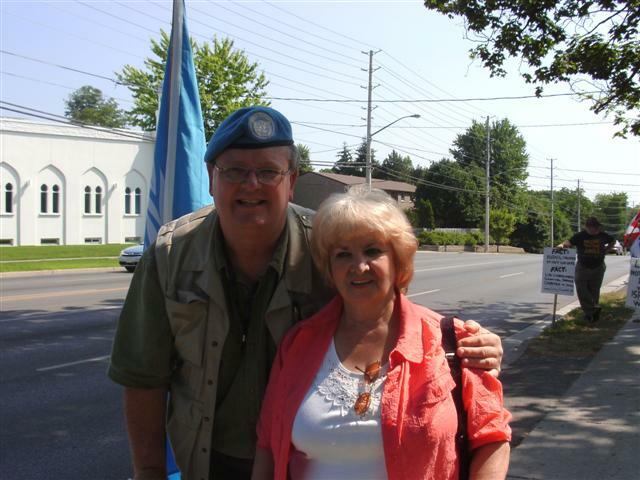 Pat Woolley from Caledonia for making time to come out all by himself to be with me/us last Saturday (Day 24) to see the ‘divine invitation’ to attend the funeral service for a former RCR U.N. peacekeeper brother in arms — offered by a woman driving past us. Glad you got to witness that little miracle, especially given your role in leading me to become a Christian. 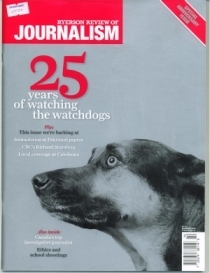 Former journalist Leila Paul for her courage in allowing me to publish her emails between her and LFP Editor Joe Ruscitti which showed how editorial content in the paper was subject to undue consideration of Muslim interests. First, some time away from the computer to rest, catch up on sleep & recharge batteries. 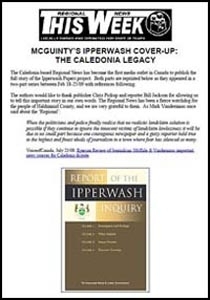 I thought it would be easy to stand every day for an hour and then get on with the rest of my work on the Caledonia issue. I was wrong(!). 1. I’d love to present ‘Why I carry a Palestinian flag in my pocket‘ to your church, synagogue or organization. Email me at mark@blueberet.ca, or call 519.457.0709. You can find my ‘resume’ here. 2. 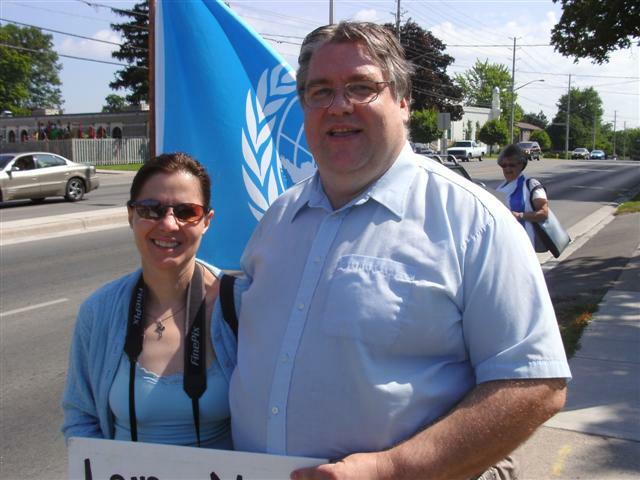 Given Rabbi Hausman’s offer to come from the U.S. to speak at an event with me, I would like to use it as an opportunity to build on the Blue Berets for Peace initiative to create an event called, ‘Israel: The Case For The Defence‘ that would be presented in Southern Ontario universities this fall as a counter-point to the repulsive ‘Israeli Apartheid Week’ events. If you can help with venues, sponsorship or promotion, let me know. Thank you for following the Blue Beret vigil. I’ve been overwhelmed with your interest and support. If you’d like to be on my mailing list send an email to mark@blueberet.ca to let me know. Just my wife and me today on a quiet Sunday morning. How I love that woman! Tomorrow will be the 26th and final day of the Blue Beret vigil. 10-11 at the mosque. 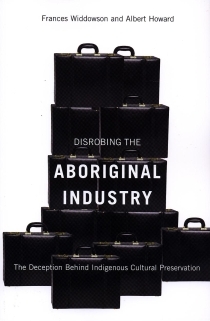 11:30-1:00 pm at the London Free Press building on York St. Addresses and maps above. Have you taken VoiceofCanada’s 21 minute course: ‘Anti-Israel Propaganda 101’ yet? 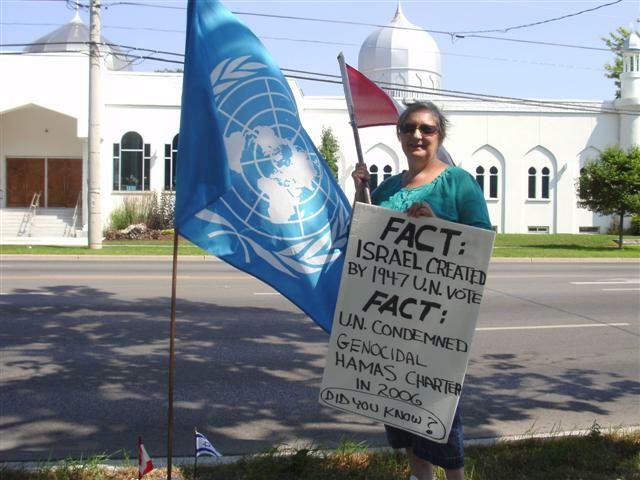 In response to the latest campaign to delegitimize the state of Israel by Canadian anti-Israel activists — the attempt to break Israel’s naval blockade of weapons to the Hamas terrorist organization now underway via the ‘Canadian Boat to Gaza’ — former UN peacekeeper and VoiceofCanada editor Mark Vandermaas will be conducting a series of public protests at the London (Ontario) Muslim Mosque to draw attention to the little-known facts that the state of Israel was created by a 1947 vote of the United Nations General Assembly, and that the UN Committee for Human Rights has condemned the Hamas Charter for its genocidal objectives towards Jews and the state of Israel. The London Muslim Mosque has provided support for the ‘Canadian Boat to Gaza’ (the Tahrir). According to the Canadian Boat to Gaza website, the mosque has held a fundraising dinner for the Tahrir, and its Operations Manager will be sailing on board. 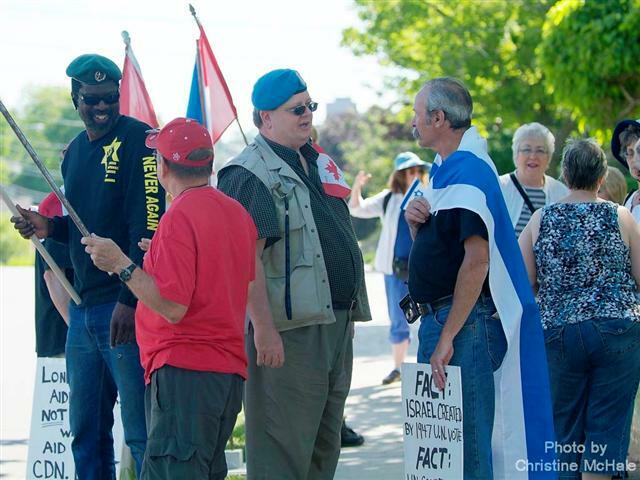 Click here to see photos taken during the 2011 ‘Blue Beret’ Vigil vs. London (Ontario) Muslim Mosque support for the Canadian Boat to Hamas. 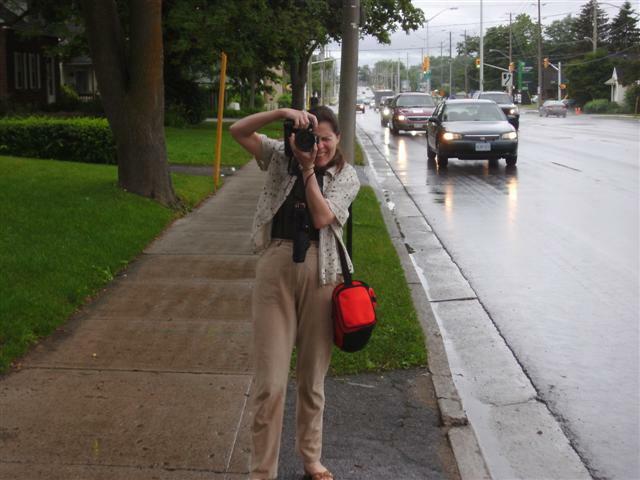 In this photo, Mark Vandermaas is taking her picture as Christine takes a picture of the crowd of supporters for one of his ‘Blue Beret’ vigil/protests across the street from the London (Ontario) Muslim Mosque, June 25/11. 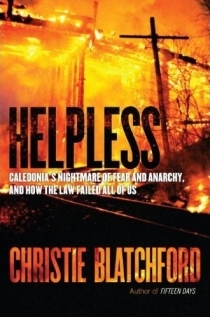 Christine and her husband Gary (photo, below) were honoured by award-winning journalist & author Christie Blatchford with an acknowledgement in her 2010 groundbreaking book, Helpless: Caledonia’s Nightmare of Fear and Anarchy, And How The Law Failed All of Us for their extensive assistance to the book. 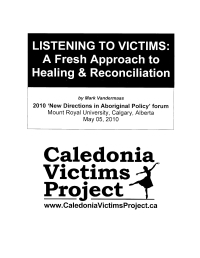 Helpless tells of how Christine has been an unwavering partner for Gary’s quest to end racial policing in Caledonia against incredible odds. She has been there at every step of the way. 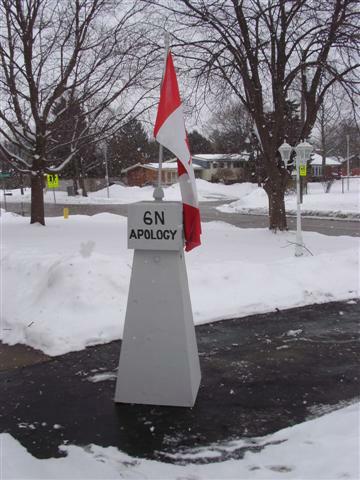 On Dec 01/07 she by his side when Six Nations smokeshop supporters viciously swarmed and attacked Gary sending him to the hospital. 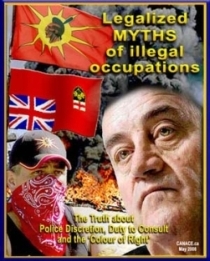 Incredibly, instead of blaming those responsible for the violence, former OPP Commissioner Julian Fantino told the public that it was Gary’s fault and ordered his officers to target him for a criminal charge – and not to “get bogged down with legal nuances” to do it. This photo of the two together was taken April 21/10 on the steps of the Hamilton Courthouse after the Crown dropped the infamous ‘Counselling Mischief Not Committed’ charge eventually laid against him – which took place shortly after two senior OPP officers – including the present commissioner Chris Lewis – were ordered by a judge to face charges of Obstructing Justice in his case. 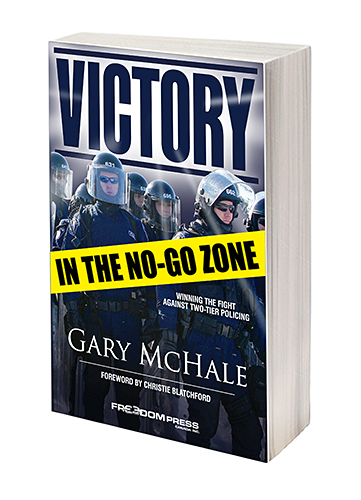 The story about the OPP’s persecution of Gary McHale is a favourite of Blatchford’s when she is invited to speak. CORRECTION: In the original story, VoC incorrectly showed the date of Ed Holder’s announcement of federal funding for the London Muslim Mosque as being May 17, 2011 – AFTER the mosque’s fundraising dinner for the Tahrir boat to Gaza. The funding announcement was, in fact, made on May 17, 2010. I apologize to readers and Mr. Holder for this error. The story, story title and URL have all been updated via this replacement article. On Sunday June 19/11 participants in the ‘Canada Boat to Gaza’ mission will fly to meet a boat called Tahrir which will attempt to land in Gaza. Its objective is to break the Israeli naval blockade of weapons delivery to Hamas – whose Charter calls for the destruction of Israel and extermination of Jews. 1. 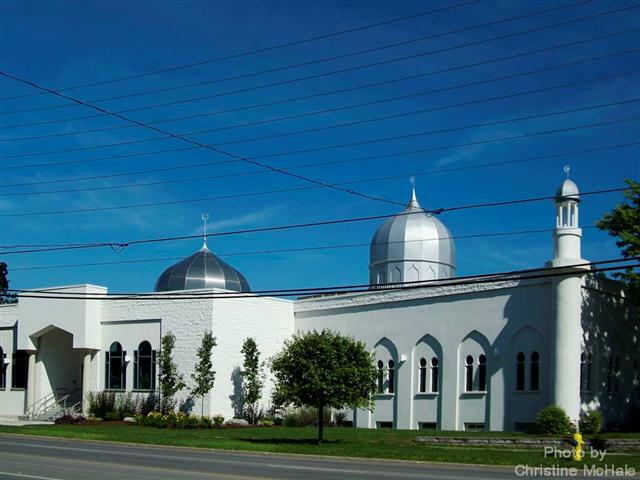 On Feb 05/11 the London (Ontario) Muslim Mosque hosted a fundraising dinner for the ‘Canadian Boat to Gaza. 2. The Operations Manager of the London Muslim Mosque, Muhammed Hamou, will be sailing on board the Sea Hitler. 3. 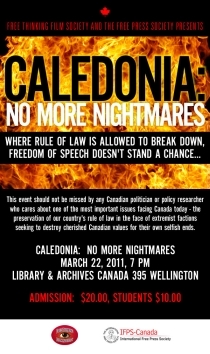 The London Muslim Mosque has links to the Muslim Brotherhood through the Muslim Association of Canada. CORRECTION: In the original story, VoC incorrectly showed the date of Ed Holder’s announcement of funding for the London Muslim Mosque as being May 17, 2011 – AFTER the mosque’s fundraising dinner for the Tahrir boat to Gaza. The funding announcement was, in fact, made on May 17, 2010. 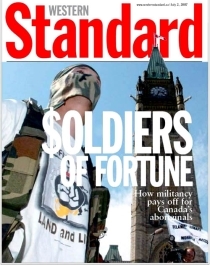 CORRECTION: In the original story, VoC incorrectly showed the date of Ed Holder’s announcement of federal funding for the London Muslim Mosque as being May 17, 2011 – AFTER the mosque’s fundraising dinner for the Tahrir boat to Gaza. The funding announcement was, in fact, made on May 17, 2010.